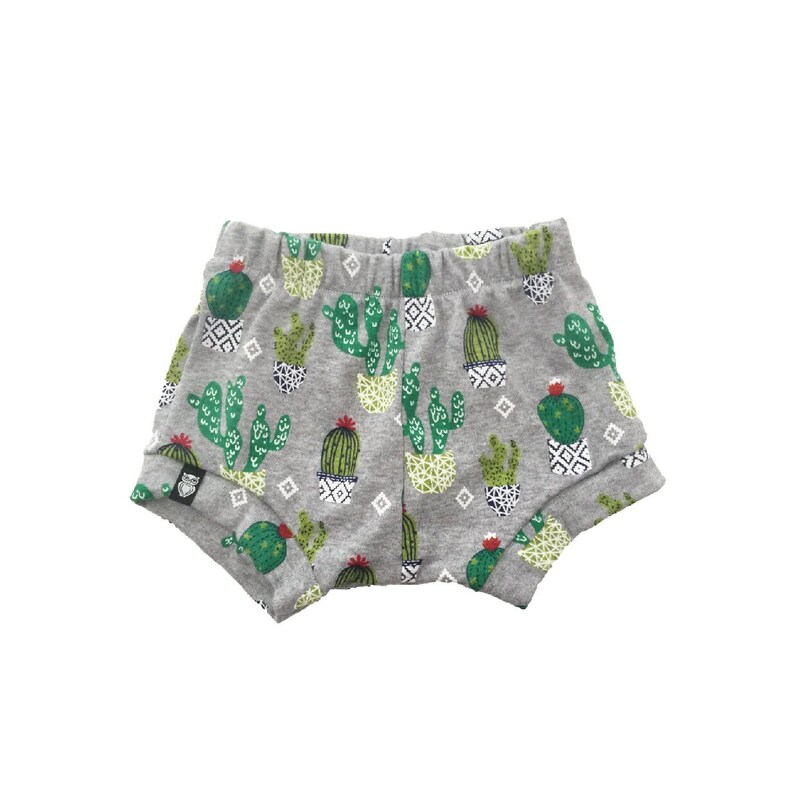 These cactus shorties are a perfect addition to your child’s summer wardrobe. This pair of shorties are made with a super soft medium weight 100% cotton knit fabric. 100% cotton shrinks a lot so we prewash it using Honest Co. detergent. These shorties are not super short like other brands. 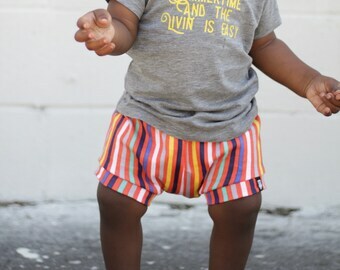 Depending on the height of the child, the shorts hit at mid thigh.